Christos graduated with distinction from National Conservatory of Athens (Ethniko Odeio) in 2005 while he finished his degree in Psychology (4 years) in School of Philosophy at University of Athens. 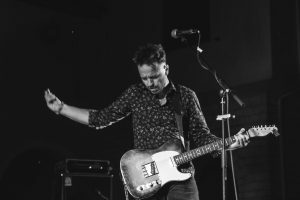 In the same time he was following the London College of Music Advanced Grated Examinations in Music Performance – Electric Guitar and achieved distinction in Grade 8 (2003-2006). He trained in singing under Louisa Barry, Margarita Syngeniotou in Athens and Louise Gibbs in Leeds, UK (2006-2013). 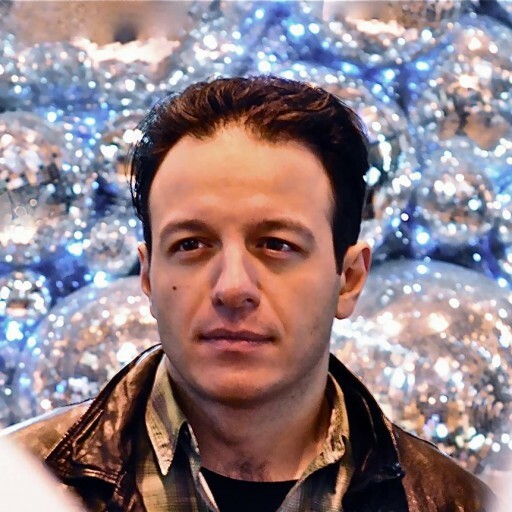 Christos trained in composition, counterpoint and fugue by Composer Stavros Katirtzoglou (2005-2008) and in modern composition (Schoenberg, Hindemith, etc.) by Composer Nikos Panagiotakis (2007-2008). In 2008 he went in the UK to do his Master’s Degree in Music Production/Composition at Leeds College of Music. He was supervised by Dr. Mark Marrington, Dr. Randall Whittaker & mentored by Composer Max Wilson and achieved distinction in MA in Music Production/Composition. Christos started writing & producing songs in Greece at 2004. In the same time he started composing music for modern ensembles (trios, quartets etc.). He composed his first orchestral piece in 2006 and kept building his portfolio of compositions. In 2009 started composing music for films and exploring new musical fields and also experimenting with new sounds & styles. Christos begun composing music and writing songs for Coral Caves ‘Labyrinth’s Path’ album in 2009, which he also produced and released in June 2010. BBC Radio interviewed him also amongst other radio stations, broadcasted and reviewed ‘Labyrinth’s Path’ as ‘Absolutely Brilliant!‘(BBC Radio: 17/6/10). Coral Caves’ debut has been reviewed in UK, GREECE & USA. In 15/3/12 he produced and released under CPS Records the new Coral Caves EP Album ‘Sometimes Shine’ which made a break through in Radios’ playlists in the USA and also broadcasted in the UK & GREECE. ‘Sometimes Shine’ also received very positive reviews (see review page) from magazines, blogs etc. in the UK, GREECE & USA where also listeners voted it as their favourite. In April 2013 initiated ‘C-Drain‘ project as his alter-ego and kick-started by ‘So What?’ a track very different in mood and style from what he had been known for up until then. Continued with summer-single ‘Oh Miami!’ which received great reviews from the critics in the US & UK and broadcasted by various radio stations in the US, UK, South Africa, Canada, Greece, Turkey etc. and in Canada entered the Top 40 Radio Charts in No#9 on August ’14. In December 2016 he released as C-DRAIN the ‘Covers Unplugged’ EP album under CPS-Records featuring evocative re-workings of five of his favourite songs, and introducing a new ‘cinematic’ approach to production and performance. The EP received great reviews and entered the TOP 6 Albums of 2016 (English) and the TOP 20 of all 2016 Album-releases (ERT Radio). At present, Christos is working on variant projects from folk and ambient to pop, rock, indie and music for films and theatre as composer, producer and writer. Also he is recording, producing and writing songs for other bands, singers and artists mostly in his home studio in London and in Athens. He finished his next EP Album as ‘C-DRAIN‘ with new band members which will be released in 2018 and performing in central live scenes with his band also combining performances with unique art-video-projections creating atmospheric and pop-art driven videos behind the stage, which are projected from video walls to castle-walls and entire buildings. worked with Christos at Coral Caves album. 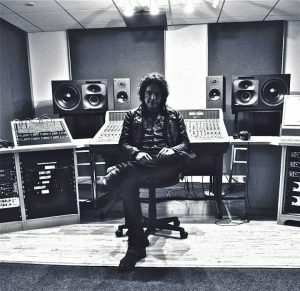 May 28, 2010 – Russ Hepworth-Sawyer, Mastering engineer, Owner – MOTTO Sound Company, UK. Brian Wilson (Beach Boys): Favorites ‘Oh Miami!’ and re-posted it on his personal page!